When people are counting on you to deliver them or their cargo safely, you need to be able to count on your vehicle. Hendrickson has spent more than a century making the high-quality suspension parts that heavy-duty trucks and trailers need to ride smoothly in any situation. Based just outside Chicago with state-of-the-art facilities around the world, this trucking leader knows that big rigs will overpower ordinary components. They developed the first tandem truck suspension in 1926 that improved traction and reduced the shock from bumps. To this day, they continue to create new ways for 18-wheelers, fire trucks, buses, tractors and other large commercial vehicles to drive like it’s an easy Sunday. Hendrickson makes truck suspension parts for every corner, and FinditParts has them all available online. They produce both OEM and aftermarket springs for many major commercial vehicle models. If your ride has an air suspension, they have air springs for it, too. Ease the pounding of hard impacts even further with Hendrickson shock absorbers, saddle assemblies and shackles. The company has a number of front axle parts so the wheels will keep turning and steering properly even when they’re going over rough potholes. Order truck torque arms, torque rods and bushing to get power to the wheels and maintain their alignment. In recent decades, Hendrickson has found other ways of helping truckers ride on. 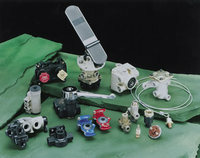 They have an expanding line of hydraulic brake parts such as bearings, seals, camshafts and tube kits. And those who are hauling a trailer can now get parts from them as well! Hendrickson trailer parts include Z-beam assemblies, pivot bushing kits, body rail kits and replacement hoses for their Tiremaax tire inflation system. 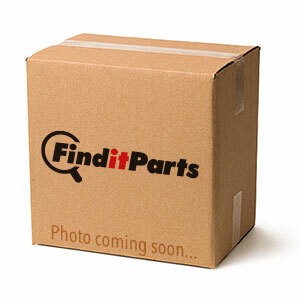 FinditParts carries more than 10,000 unique Hendrickson components as part of our inventory of over nine million — yes, million — parts. Make us your stop to get the parts you need with competitive pricing, fast shipping and friendly folks to assist at every bump or turn.